The Pentagon will spare civilian sexual assault prevention personnel from mandatory furloughs this year, according to a Defense Department spokeswoman. 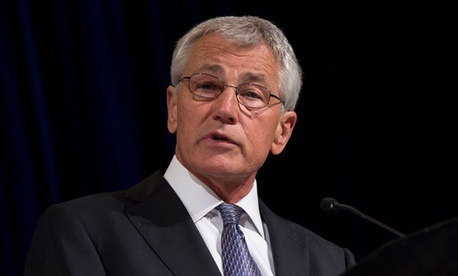 Defense Secretary Chuck Hagel reached the decision after the recent arrests of multiple personnel working in sexual assault prevention offices for domestic disputes and sexual misconduct, as well as a report that found an estimated 35 percent increase in the number of “unwanted sexual contact” incidents in the military in 2012. The move will affect 500 employees, according to Politico, which first reported the story. About 650,000 civilian Defense employees face 11 days of unpaid leave through September. Among the excepted employees are full-time sexual assault response coordinators, sexual assault victim advocates in the active and reserve components, and Sexual Assault Prevention and Response program management at the component headquarters, according to Cynthia Smith, the Defense spokeswoman. The Defense secretary has directed officials to report back by July 31 on efforts to implement a prevention and response plan and promote victim advocacy. In April, Army officials told Congress the service was planning to add 829 full-time sexual assault response coordinators. More than half of those positions are civilian positions. Hagel has yet to formally announce the exemption plan and elaborate on details such as whether these new workers would also avoid furloughs. Progress on reducing sexual assault in the military will still be hampered by sequestration, from “slowing hiring actions to delaying lab results, which hinders our ability to provide resolution for victims,” according to Army Secretary John McHugh and Chief of Staff Gen. Ray Odierno.